Ladies and gentlemen, The X-Files is back. After an expected sub-par premiere, I’m happy to report that this week’s episode, written and directed by Glen Morgan, finally feels like the original show at its best. The episode begins with a teaser that truly defines the term itself, with the mysterious reappearance of the long-dead Langly (Dean Haglund) appearing on Mulder’s phone with a cryptic message: “Am I dead? 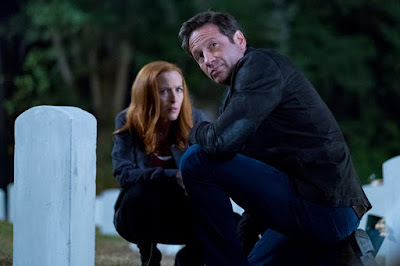 If I am, they know that I know.” Almost instantly, three figures break into Mulder’s home to kill both he and Scully and an intense shootout begins. The stunt work in both this scene and several scenes near the episode’s end are spectacular and adds a layer to the show not previously seen. Adding to the fun is having one of the Lone Gunmen back, in a small but perfect way. Haglund always provided the comic relief and some much needed exposition in many episodes, but here has to convince us of his desperation within the screen of Mulder’s phone. Haglund has complete control over every scene he’s in, and his appearance adds to the “classic” feeling of the episode. You could say that “This” is in many ways a love letter to the fans of the show. Finally, The X-Files proves why it is still relevant. Langly’s return is also quite clever, both as a story idea and as it relates to his character. His skillset from the original series comes into play in a big way, which makes everything about “This” feel just right. Last year, the Gunmen were brought back in a drug hallucination with no dialogue which disappointed many fans, including myself. While I’m fairly certain we will not see the return of Byers (Bruce Harwood) or Frohike (Tom Braidwood), having Langly back in this way in no way feels like a cheat. It’s wonderful, beginning to end. 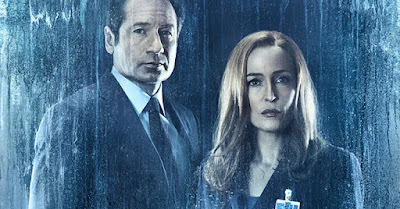 If the rest of the season is anything like “This,” I’m confident the conversation will finally turn from being about The X-Files at its worst to its best. If this season is truly it – Anderson has said she’s retiring Scully, while Duchovny and series creator Chris Carter say the future is uncertain – I can’t think of a better note to go out on. In a small but significant way, Langly’s return has brought the show back to form. I want to believe that The X-Files can maintain this level of quality.